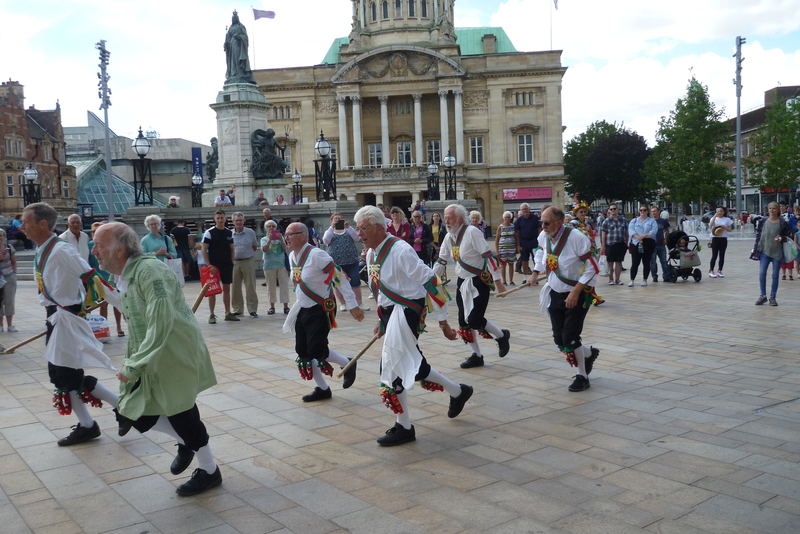 Welcome to the Kingston Upon Hull Day of Dance website. Many thanks to all the teams and the spectators who came along on Saturday 28th July to make our day a great success. Even the weather was kind to us with the worrying early rain giving way to sunny skies. We had spectators from all over the world, including visitors from New Zealand and Seattle. One Lady had come on the train from Boston (Lincs) especially to view our Day of Dance. We had found ourselves in an unusually fluid team availability situation and thank all the teams for bearing with us. A special thank you goes out to Beverley Garland and Acorn Morris who, despite our best efforts, found themselves dancing in a group of two for a second time. We hope you all had a good day and happy memories of your time here. The first video (Hornbeam Mollie) has appeared at https://youtu.be/2X-GtTaHvCc . Hopefully, many more will follow. If you have posted anything or have any photos you would like to share please let us know and we will circulate them. The Kesteven Men can do it too! 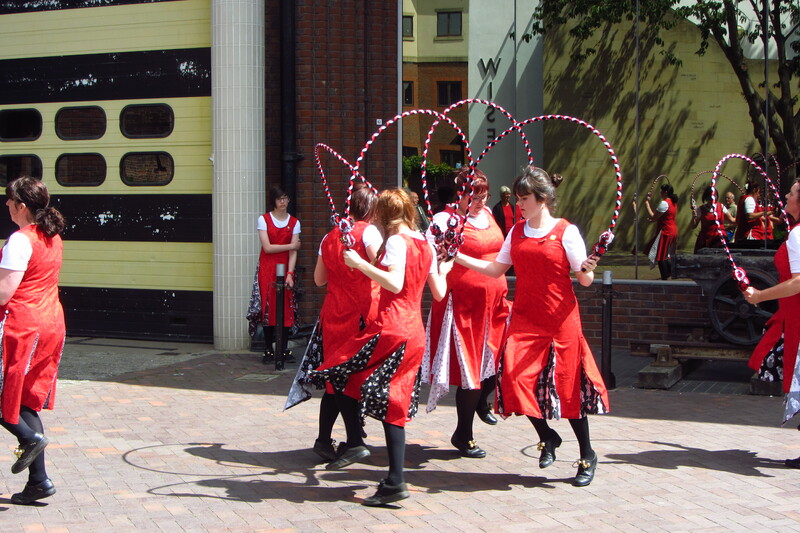 Some Morris dance outs through 2018 will be listed in the “See Morris” section of the Morris Minors website which this hyperlink will take you to. For more information, please click on the buttons above to select our other pages. 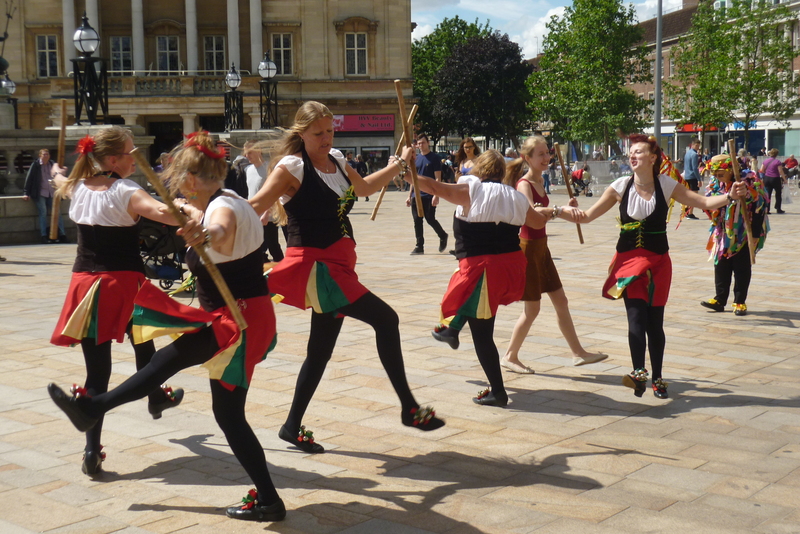 Hull’s Rackaback Border Morris Team dancing at the Doncaster Day of Dance in 2013.